Hospice Care is comfort care provided to you and your family if you have a terminal condition, with less than 6 months to live, and are no longer seeking treatment other than palliative care. 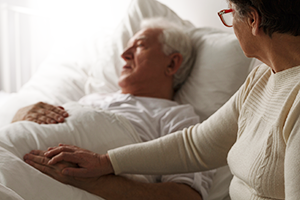 Hospice Care can be provided at home, in an outpatient clinic or in an inpatient setting. Hospice is a benefit that the VA offers to qualified Veterans who are in the final phase of their lives, typically six months or less. This multi-disciplinary team approach helps Veterans live fully until they die. The VA also works very closely with community and home hospice agencies to provide care in the home. Since Hospice Care is part of the VHA Standard Medical Benefits Package, all enrolled Veterans are eligible IF they meet the clinical need for the service. There are NO COPAYS for Hospice Care whether it is provided by the VA or an organization with a VA contract. Hospice Care provides services that relieve suffering and help control symptoms in a way that respects your personal, cultural, and religious beliefs and practices. Hospice Care also provides bereavement support to your family. You and your family meet with a care team to develop a plan of care together that meets your medical, social, spiritual and psychological needs. You can use a Shared Decision Making Worksheet to help you figure out what long term care services or supports may best meet your needs now or in the future. Find out about how you can use the Shared Decision Making approach. There's also a Caregiver Self-Assessment . It can help your caregiver identify their own needs and decide what type and how much support they can offer to you. Having this feedback from your caregiver, along with the involvement of your care team and social worker, will help you reach the best decisions. How much do I want services that are focused on comfort care? What are my family’s/caregiver's needs? 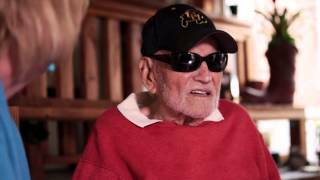 Talk with your VA social worker about Hospice Care. You can also use the Locate Services and Resources page, found on the left navigation menu, to help find Hospice Care services. It makes me feel better to know that my wishes will be honored and I will have assistance managing my symptoms if I decide not to have any further treatment for my illness. This is always a hard time, but the information I received from the compassionate hospice workers helped me to cope right after my husband passed.